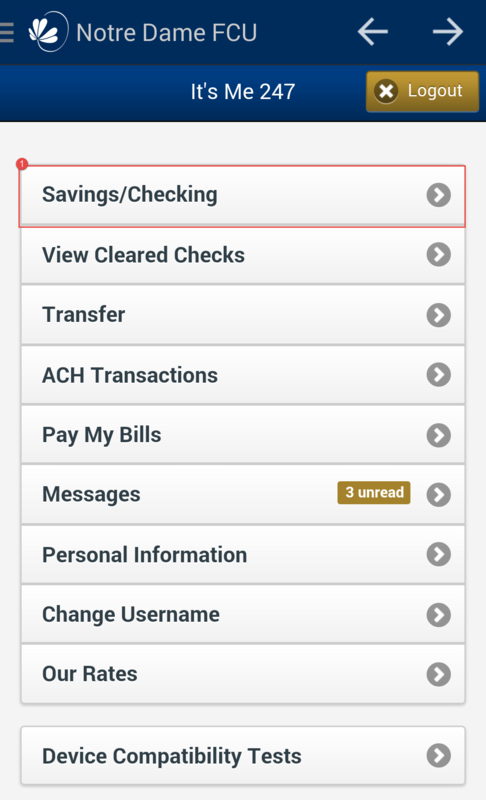 You can view your account balance in online banking, on your mobile app, or phone banking. To view this via online banking, login to the system. Once in the system, your account summary displays all open accounts at NDFCU. Please note that you will see your Available Balance and Actual Balance. These will vary based on whether you have any outstanding items on hold to pay. Available is what is in your account after taking the holds into consideration. If you are logging in using your mobile device, once you login, the menu page will display. Select Savings/Checking from your menu options. 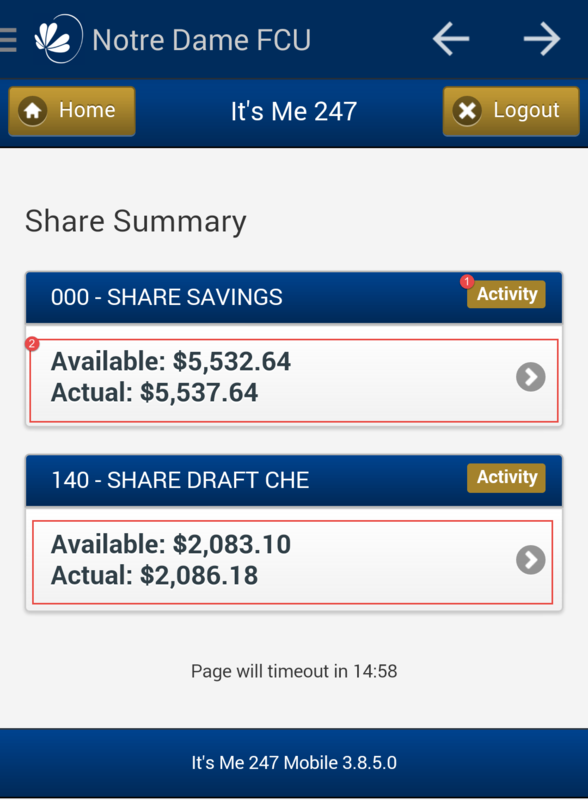 You are now able to view your savings and checking accounts. When you select the "Activity" Button (1), you will see all items on hold for this account. You will see your Available balance which is your actual minus the items from the activity window. You can also use our phone banking option.